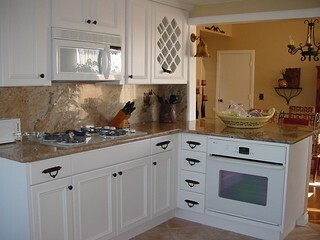 A new kitchen is one of the most important remodeling jobs in adding value to a home. Let our expert staff guide you through the kitchen remodeling process! We’ve been designing and building custom kitchen remodels for San Diego families for over eight years. 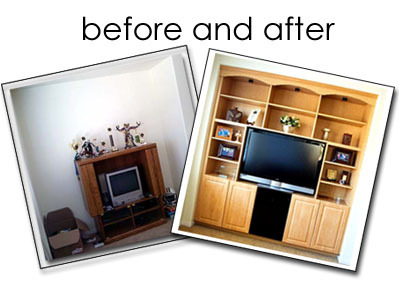 Whether you need new cabinets, flooring, or a complete new design and build, We’re Innovative is ready to assist you. Kitchen Flooring and Appliance Installation & More! Click the "Testimonials" title to see all our testimonials. I'm super pleased with my new cabinet. It's awesome! Tom Cook was professional and friendly. I would recommend him to all my friends and family. He did a great job installing our cabinets. I couldn't be more pleased with their product. I now have extra room for my linens. It was a fast installation and quick clean up, which I do appreciate.